Binge watchers, rejoice — a dedicated website has published a secret list of codes that will apparently unlock dozens of “hidden” films and TVs shows under new niche categories on the video streaming service — just in time for the winter months. Netflix’s incredibly niche, personalised sub-genres have long captivated movie nerds, from “Steamy Crime Movies from the 1970s” to “Period Pieces About Royalty Based on Real Life”. 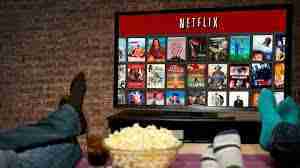 How does the Netflix genre codes work? Not all numbers will result in a sub-genre, and given Netflix’s ever-changing algorithms, they might move around every now and then, while there may be regional differences meaning that some codes don’t work. Because the trick requires going to specific pages, this will only work on the Netflix website via a PC. Unfortunately, that means it isn’t possible to do this on other hardware like a phone, games console or smart TV. It is, of course, easy to find a film on a laptop and then search for it specifically on whatever other hardware you have. This little list should keep you busy!